The fruit is usually about the size of a grapefruit. The inside is normally white with tiny black seeds distributed throughout the fruit. The texture and juiciness reminds me most of kiwi, though it is not nearly as tart as kiwi. 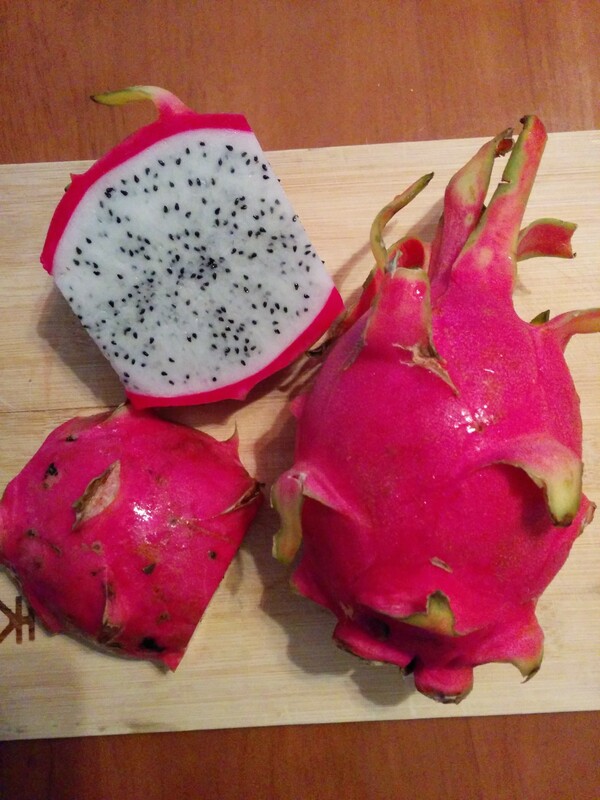 Here’s a tutorial on how to choose a good dragon fruit, and prepare it. 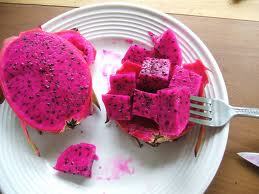 As if dragon fruit were not psychadelic enough, it also comes in a hot pink interior version. 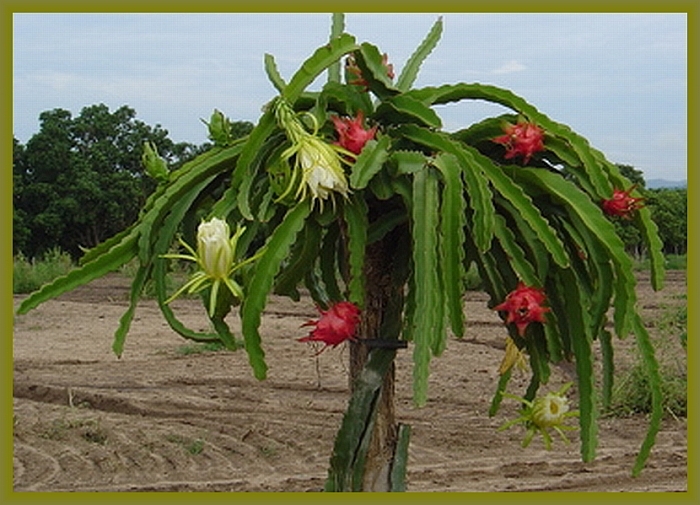 And check out the crazy way this thing grows – drippy, droopy cactus trees. Nice. 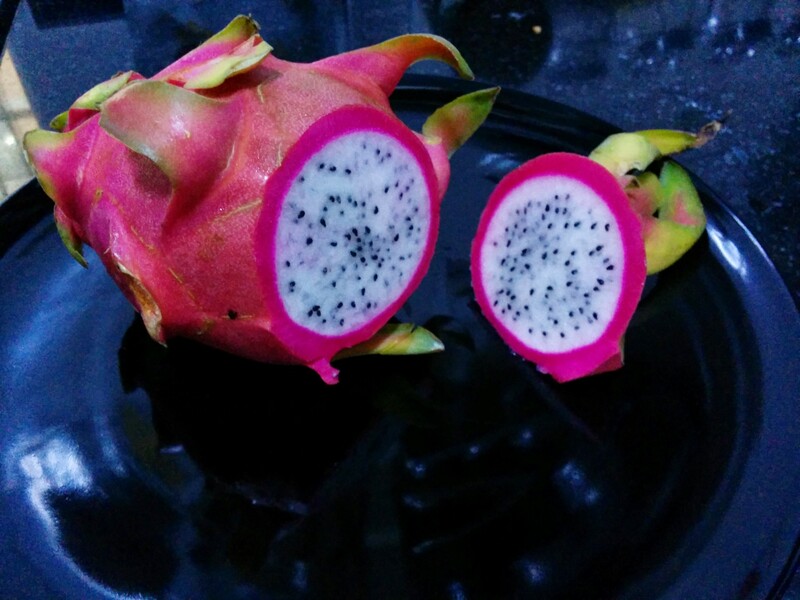 Dragon fruit is very easy to prepare, and it’s delicious, making it one of our favorite fruits to serve when guests come over. Especially if that guest is Horton. Photo credits top to bottom: boingboing.net, smalltownlaowai.com, smalltownlaowai.com, gardenweb.com, emeraldgoddessgardens.com.